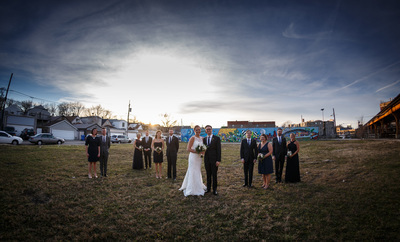 Weddings are expensive, and they don't always fit neatly into packages of 6, 8, or 10 hours. I like to review each timeline to make sure I am quoting you appropriately, and since my pricing is based on the amount of coverage you need, this gives you the best value possible. You'll always be able to add time after booking, and can even add coverage in 15 minute increments on the night of the wedding if necessary. There is no upcharge for this. It's at the same rate you would have booked at originally. I begin by combining all of the image files into one folder and sorting them by the time they were taken. This is down to the millisecond and ensures the story we are telling mirrors the order of events from the day. After the sorting is complete, I go through each photo individually and edit out any images that don't work. Because my style is so candid, I need to capture twice as many photos just to get one that is perfect for my needs. A good example of this is a group of people at cocktail hour all talking and having a conversation...I want to capture this moment so I take 4-5 photos and check them to make sure we have at least one that works. Have you ever seen a photo of yourself that had the worst timing ever? Think mouth gaping to eat an appetizer or your head tilted back seemingly chugging your refreshment. I take extra photos of each "scene" to be sure we have at least one where everyone feels they look their best. After the culling process is complete I apply a set of adjustments to all of the photos. This is the last step for some photographers but we take it even further. Beginning at the start of the day, I go through each photo individually and make minor tweaks and adjustments to make sure it's looking it's best. When this is finished, I export all of the images in color to a folder. When the export is complete, I re-import those files and convert everything to black + white before going through the images one last time, making minor tweaks to the exposure. These images are then exported a final time to a black + white folder. All of the images are uploaded to your client access folder and I get to send you an email telling you your images are ready for you to view! This one is hard to answer because so many people mean so many different things when they use the term "retouching". I won't automatically airbrush any of the photos, but I do apply enhancements and adjustments to the images. The two photos below demonstrate the effect of the processing we apply to each image. In this sample, we brought down the highlights in the sky, warmed up the color space slightly, leveled the photo, and bumped the clarity to make it more true to the original scene. Click on either image below to see the difference. I've never encountered anyone on their wedding day that had a blemish which appeared in their photos and ruined their day. I know this is a big fear, but that's exactly what your make up artist is there for. That being said, if you get your photos back and there is something in one of the shots that is bothering you, shoot me an email, let me know what image number, and I can take a look and fix it for you. A picture is worth a thousand words, and I like our stories to be thorough. You can expect around 100 images per hour of coverage once you receive everything back. These are unique photos so you won't be seeing 4 or 5 duplicates of each posed shot. If you take a look at my full wedding albums on the home page, you'll get a good idea of the variety and number of images you can expect. 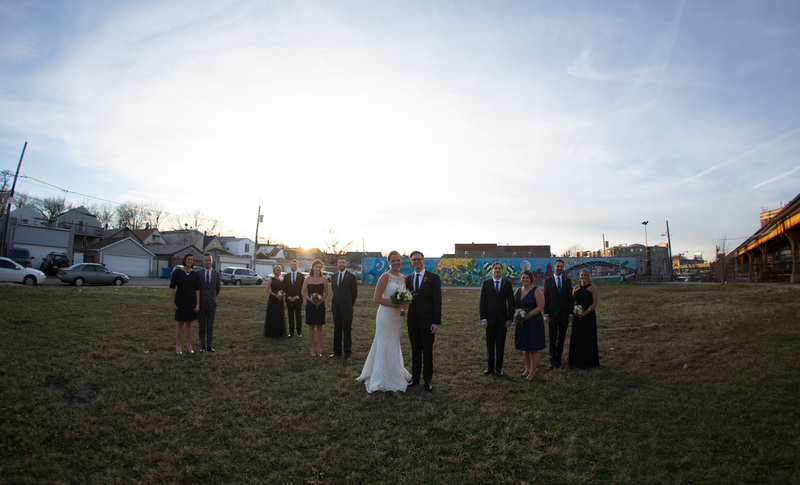 At first glance, choosing a photographer can seem overwhelming, but it doesn't have to be. There are a ton of options when it comes to photography, but there are some simple ways to make navigating the process easier. Think about what kind of coverage is important to you. Do you like photos that are candid and that tell a story? Are you uncomfortable in front of a camera? Would you rather your photographer was as inconspicuous as possible? If so, you are most likely looking for a photojournalistic approach. If you're more interested in heavily posed/vogue type photography and moments that are more created, not found, you're most likely looking for someone closer to a portrait photographer. There isn't a right or wrong style. It's a completely personal preference. How important is photography to you? Are great photos something that you will look back on for years to come and help you relive your big day...or is a photographer just something you think you're supposed to have? If photography is very important to you, I would strongly recommend going with an independent photographer or at the very least, a small studio. It's more expensive than a larger studio, but what you pay for is what you get. If photography isn't as important to you, you'll spend less going with a larger studio that shoots a few weddings per day. Do you shoot in RAW or jpeg format? I'm sure you're thinking "what's the difference? ", right? Long story short, you want your photographer to be shooting in RAW. This is a larger file that captures more information and allows for much greater control in the processing of the image. Think polaroid vs a film negative. Keep in mind, this is the file type your photos are being captured in, not the file type you will get back. Those will be jpeg. How long until my images are returned to me? Some photographers take weeks, and some take months, so this is always an important one to run by any potential photographer. I will return all of your images to you within 3 weeks of the wedding. How many photos can I expect to get back? I return around 100 images per hour of coverage. These are unique moments. Always ask to see a full album from a previous wedding so you get a good idea of the variety and type of images you can expect. I have photographed over 400 weddings. This is my 14th year photographing weddings. Can I see all of the images from a past wedding you have photographed before? I really feel pretty strongly about this one. Over the years I've come across many instances where I saw a really stunning portfolio and then a very subpar total album. You really need to see all of the images someone produces to get a true sense of their abilities. When you ask these same questions, you can be sure you're comparing apples to apples when making your decision. Still have questions? Email us! It's the fastest way to get answers.